Seeing new spots? It may be time to have your skin checked. Skin cancer is the most common cancer in the United States, estimated to occur during the lifetime of one in five Americans. If you have a new or changing spot on your skin, we encourage you to make an appointment for an evaluation. In almost all cases, the sooner we find a skin cancer, the easier it is to cure. Monthly self-examinations can also help you get to know your skin better – making any changes more obvious. Learn more below about the most common forms of skin cancer and possible warning signs & symptoms. 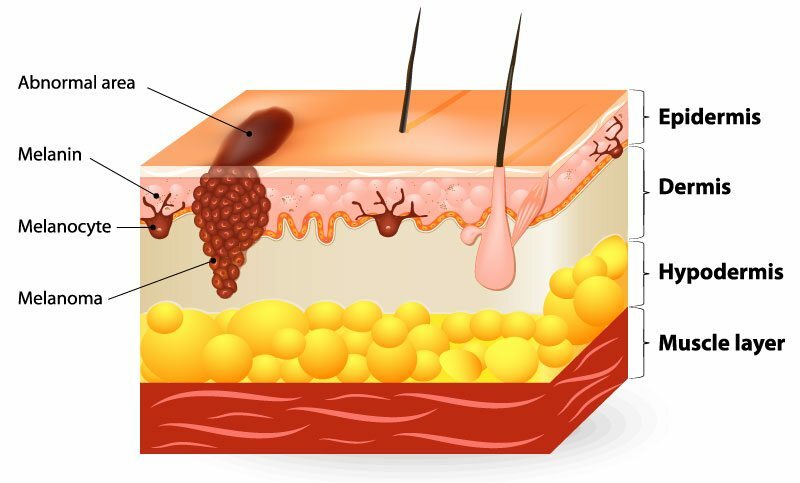 Basal Cell Carcinoma (BCC) is the most common form of skin cancer. BCCs often appear on skin that has been repeatedly exposed to the sun (i.e.- face, scalp, ears, hands, neck) but may also occur elsewhere on the body. 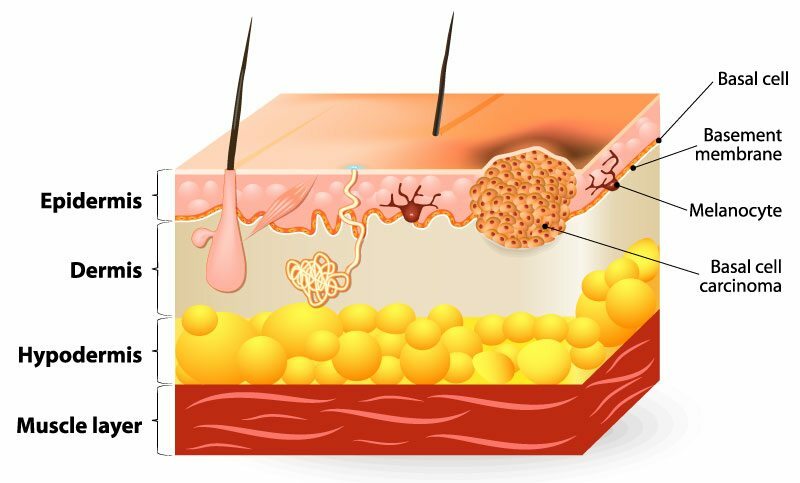 Slow-growing & highly-treatable, BCCs could cause further damage to surrounding skin if ignored for too long. 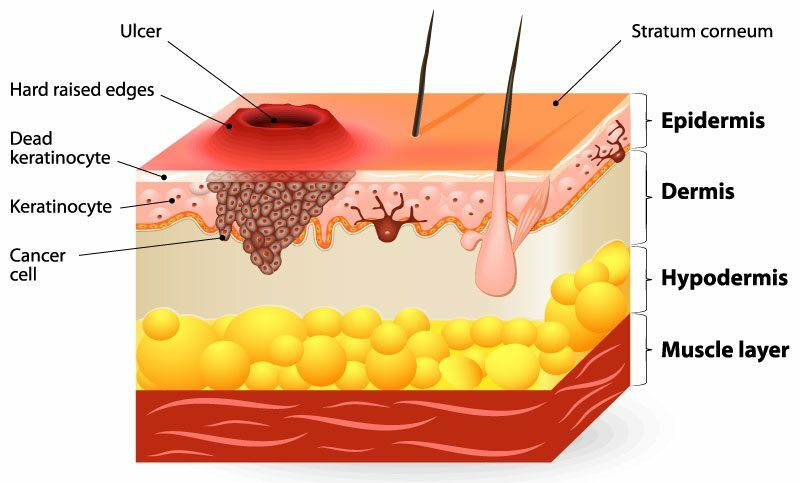 Squamous Cell Carcinoma (SCC) typically shows up on skin that has had repeated sun exposure (i.e.- face, scalp, ears, hands, neck) but could occur elsewhere on the body. SCCs usually grow faster than BCCs, but are still considered highly-treatable. Damage to surrounding skin could progress quite rapidly if left untreated. 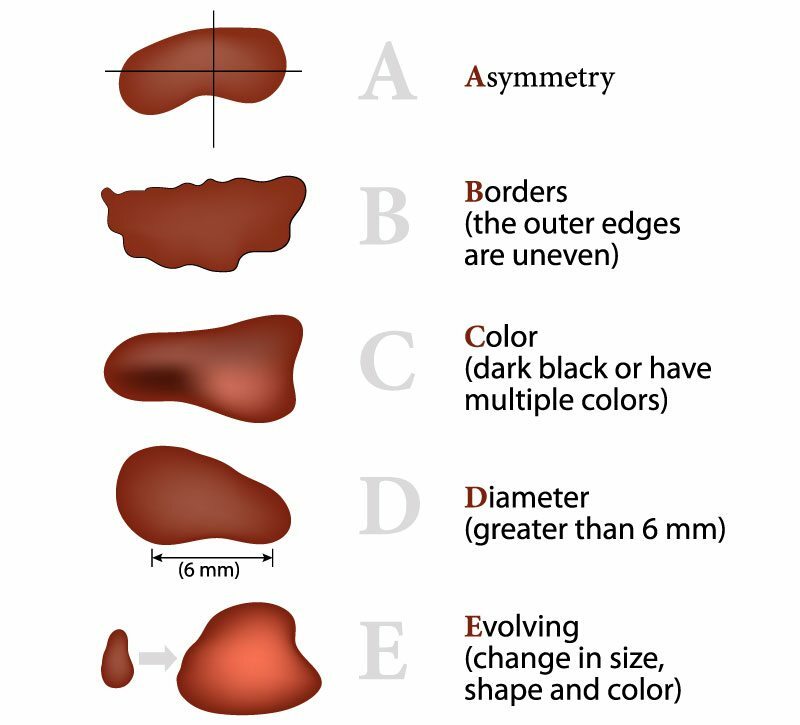 Squamous Cell Carcinoma Types: SCCs are usually persistent in nature & distinguishing between the types can be difficult. Malignant Melanoma (MM) is by far the most dangerous form of skin cancer with incidence rates growing year after year. If caught early, MM is highly-curable; however, prompt detection & surgical removal are essential. Those with fair skin and/or family history of melanoma are at a higher risk, but people of all skin types can be affected. MM is now the most common form of cancer in people age 25-29, with indoor tanning beds thought to be a contributing factor to this statistic. Repeated exposure to UV light is known to be a major cause of MM. Any time you are out in the sun, protect your skin with a broad-spectrum sunscreen of SPF 30 or higher, applied every 2 hours – all year long.